VATICAN CITY (Reuters) - The Vatican's newspaper has finally forgiven John Lennon for declaring that the Beatles were more famous than Jesus Christ, calling the remark a "boast" by a young man grappling with sudden fame. The comment by Lennon to a London newspaper in 1966 infuriated Christians, particularly in the United States, some of whom burned Beatles' albums in huge pyres. But time apparently heals all wounds. "The remark by John Lennon, which triggered deep indignation mainly in the United States, after many years sounds only like a 'boast' by a young working-class Englishman faced with unexpected success, after growing up in the legend of Elvis and rock and roll," Vatican daily Osservatore Romano said. The article, marking the 40th anniversary of the Beatles' "The White Album," went on to praise the pop band. "The fact remains that 38 years after breaking up, the songs of the Lennon-McCartney brand have shown an extraordinary resistance to the passage of time, becoming a source of inspiration for more than one generation of pop musicians," it said. Lennon was murdered in New York in 1980. 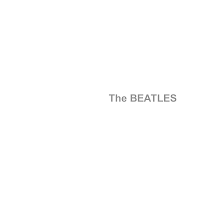 Wikipedia looks at The White Album here. I like this blog, the layout is great! Did you hear about the new bailout and financial assistance programs for citizens and immigrants?? What do you think? I like it.